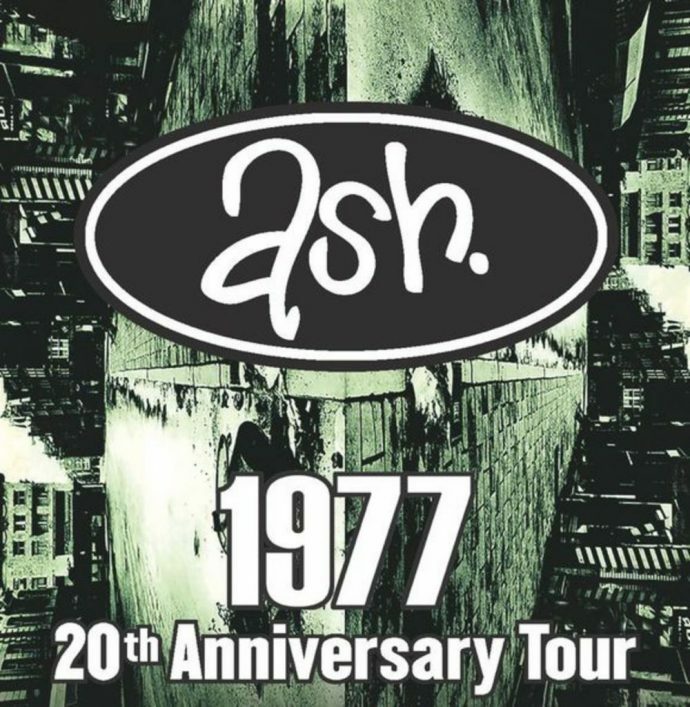 2016 marks the 20th Anniversary of Ash’s first full-length album 1977. To celebrate, the band have announced a special run of shows where the album will be played in it’s entirety and in sequence. Surviving the Golden Age got a chance to ask drummer, Rick McMurray a few questions about 1977, its legacy, and what to expect from the anniversary shows. You are doing a series of shows, playing 1977 front to back. Do you feel that 1977 is your best album? It’s hard to choose between them, but it’s definitely one of our most celebrated, and we draw on it a lot to this day for our live set. What is your fondest memory of recording the album? It was recorded over the course of three or four sessions, if you include the singles released before it; getting the news we’d had our first top 20 hit while recording what would become our second was definitely a high point, to choose one. I assume you had to re-listen to the album. Is there anything new you have noticed? I’ve not listened to it for a while; those songs are imprinted on my memory over the last 20 years! What has been your favorite song to play live from the album? We did the closing track, “Darkside Lightside” at a secret show last week, which we’ve not played regularly for a long time. It’s a real buzz to play, especially the Star Wars related outro. What song from 1977 have you played the least live? “Gone The Dream” was only played once or twice during the touring of 1977; It brings back a lot of the emotions I was going through during the writing and recording process. What was the hardest song to re-learn? We were still learning how to play at this point, so none of them are particularly difficult to learn, but I guess some of the faster tunes require a bit of stamina to get through. You have been back in the studio writing a new record. Do you think revisiting 1977 has had any effects on your songwriting during this process? It had more of an affect on the last album, Kablammo!, mainly because we’d ditched the album format back in 2007. When we decided to return to that format we felt the pressure of living up to our most loved works; they became the benchmark for what was to become Kablammo! – It was the first time we felt we had to look back on our catalogue and compete with our past. It was definitely a good challenge. Finally, are there any other album’s in your catalog you would consider doing a tour like this for? We’ve done anniversary shows for Free All Angels in the past, so I wouldn’t rule anything out!